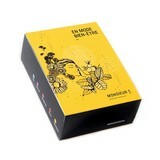 Organic Hangover rooibos - Monsieur T.
Now, listen to Monsieur T.
In this rooibos, anise and mint combine their strengths to activate your digestion, and make it bearable. Indeed, rooibos is full of antioxidants and electrolytes. Two complicated words to say that it hydrates and helps digestion. 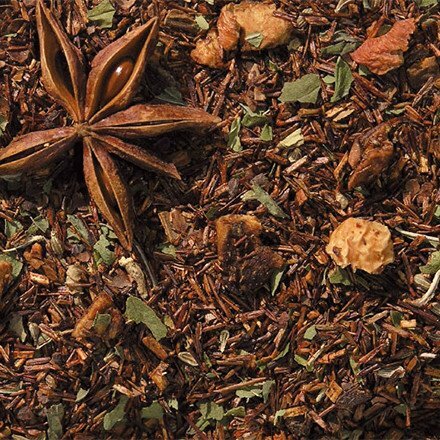 Star anise also has digestive virtues in addition to cleaning your still sensitive system. Note of interest, it reduces bloating ... and what comes with it. Mint, on the other hand, is antioxidant and takes care of your liver. A caffeine-free infusion with a thousand properties, not to mention the spicy taste of mint and cinnamon, slightly aniseed.